Growth form: Shrub. Flowering. Oct. Status: Native. Common. Also recorded: Bahrain, Kuwait, E Saudi Arabia, UAE. Habitat & distribution: Occasional or frequent in coastal saline habitats. Uses: Jong et al. 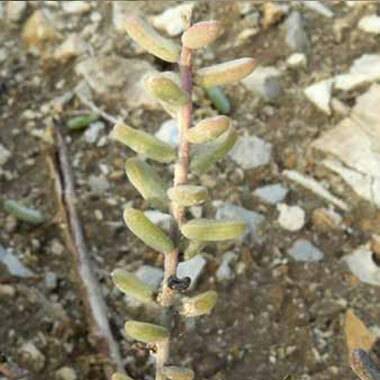 note that the plant is suitable for saline irririgation and a promising landscape plant, and is also used to treat asthma.